Pakistan, November 5, 2018: Saiful Mulook, who defended Asia Bibi in a case that has led to the assassination of two Pakistani politicians, is hiding out in the Netherlands. 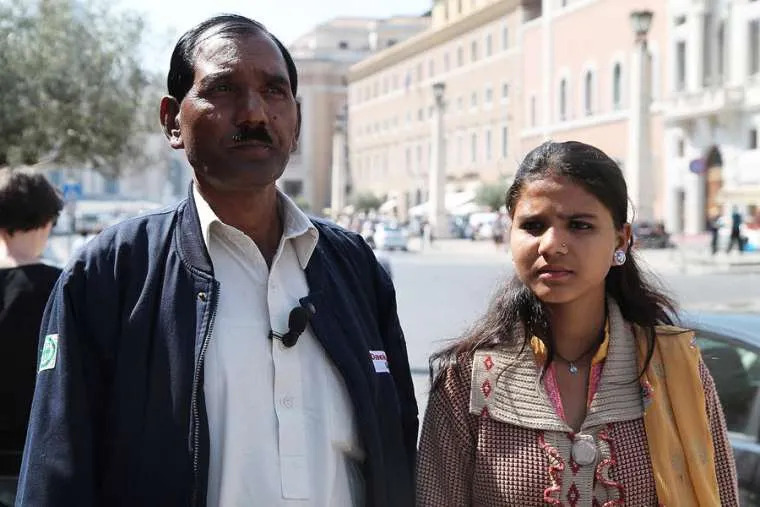 Islamist extremists have demanded the public execution of Asia Bibi, 47, who was acquitted after eight years on death row. The Supreme Court overturned her conviction last week,claiming she was sentenced on weak evidence. The mother-of-five is believed to still be trapped in a Pakistani prison for her own safety. Now her lawyer has revealed United Nations staff urged him to leave Pakistan on Saturday following her acquittal. Mr Mulook said: ”I was put on a plane against my wishes. I am not happy to be without her. I would have been much happier if I was in the same place as her. He told reporters he did not know whether his client had already been released from prison, or where she would want to seek asylum. UN officials were refusing to reveal the details “for security reasons”, he said. Bibi was convicted in 2010 for allegedly making derogatory remarks about Islam during an argument with her neighbours. Violent protests followed her acquittal as government officials agreed to try to stop her leaving the country. Her husband Ashiq Masih has begged the UK, US or Canada to grant her asylum. Dutch politicians have said they support offering temporary shelter to Bibi if she flees there. Mr Mulook said Italy had offered asylum to both Bibi and her family and his own family, but that they had not accepted the offer straightaway, as U.N. staff said they would make arrangements. Islamists have shut down major cities in Pakistan with waves of demonstrations folowing the court’s decision. The demonstrators threatened to escalate the protests if she was allowed to leave the country. Pakistan’s authorities struck a deal with the hardline Tehreek-i-Labaik (TLP) party to quell the protests.